My first taste of mocha shortbread was at a dear friend’s house in the Pacific Northwest. It was a cool and rainy winter day. We were drinking coffee while watching our toddlers play with cars and racetracks. It was a perfect day in every way from the refreshments to the companionship. 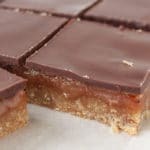 Over the years I have baked coffee and chocolate shortbread many times. I have made these treats for cookie exchanges and to give to neighbors over the holidays… they are so good! 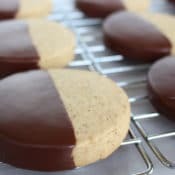 I’ve refined the simple recipe from a bar cookie to a more refined chocolate dipped shortbread biscuit. It is delicious both ways, but I prefer the fancier presentation when using it as a gift. I enjoy baking Coffee and Chocolate Shortbread Cookies around the holidays. 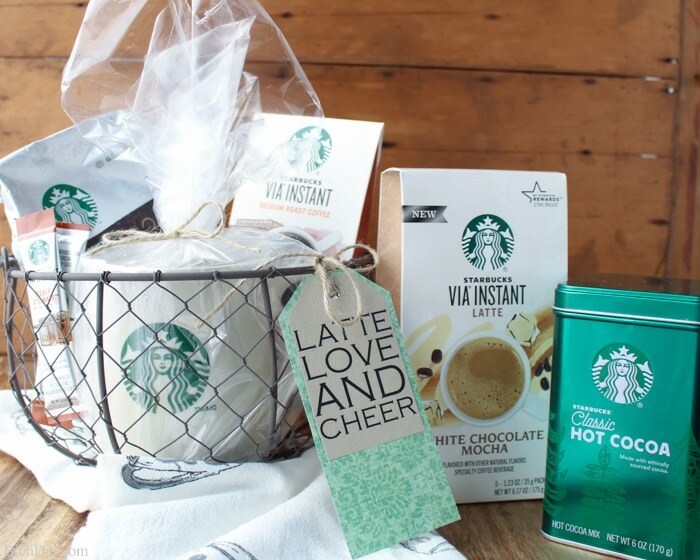 They are the perfect gift for all the coffee lovers in your life. 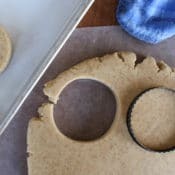 I use round cookie cutter to make them fit into a beautiful coffee mug and add a delicious bag of coffee. It’s an affordable but touching gift. 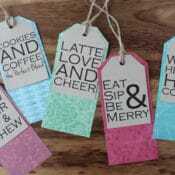 You can download my free printable gift tags in the free printable library. I hope you like the coffee related sentiments, my kids and I had a great time thinking them up for teacher gifts. 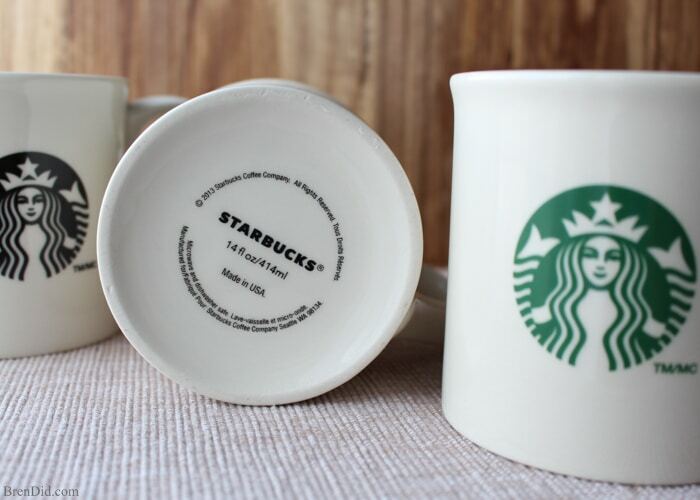 Bonus tip: Visit your local Starbucks to purchase their American made mugs. I love giving them as gifts to support American jobs. This Coffee and Chocolate Shortbread Recipe is perfect for cookie exchanges and holiday gifts. 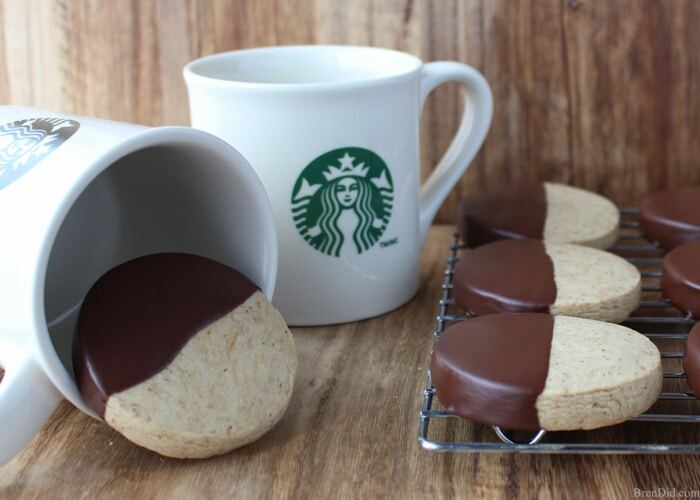 Simple chocolate dipped mocha shortbread cookies are beautiful and tasty. 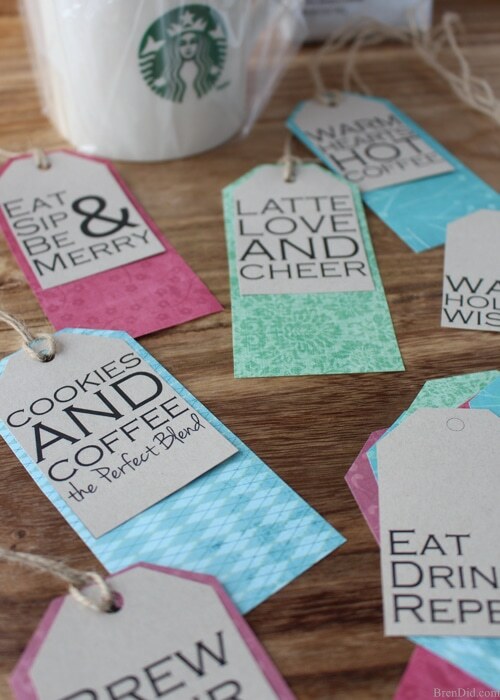 Includes free printable gift tags for coffee lovers. Cream butter and vanilla together, slowly stir in flour, sugar and coffee granules. 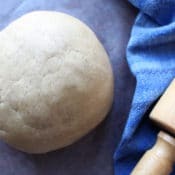 Roll dough between sheets of parchment or wax paper until it is approximately 3/8-1/2 inch thick. 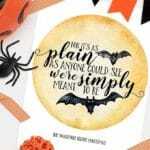 Cut into circles using a cookie cutter or drinking glass. 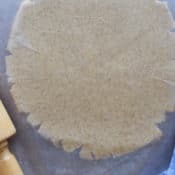 Place cookies on a parchment lined cookie sheet. 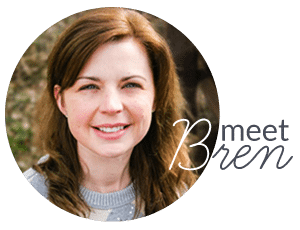 Bake for 20-25 minutes at 325 degree Fahrenheit until lightly browned and firm. Let shortbread cool completely. Place chocolate chips and coconut oil in a microwave proof bowl. Heat on high for 30 seconds, stir well and then heat in 10 second increments stirring well between each heating until completely melted. 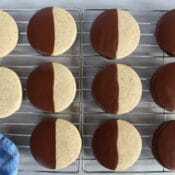 Dip half of each cookie into the chocolate and place on a wire rack until chocolate glaze is firm. Store cookies in an airtight container once chocolate is solid. 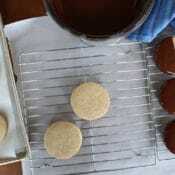 Place sheets of wax paper or parchment paper between layers to protect the glaze. 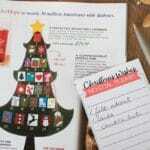 Add a free printable gift tag, if desired. 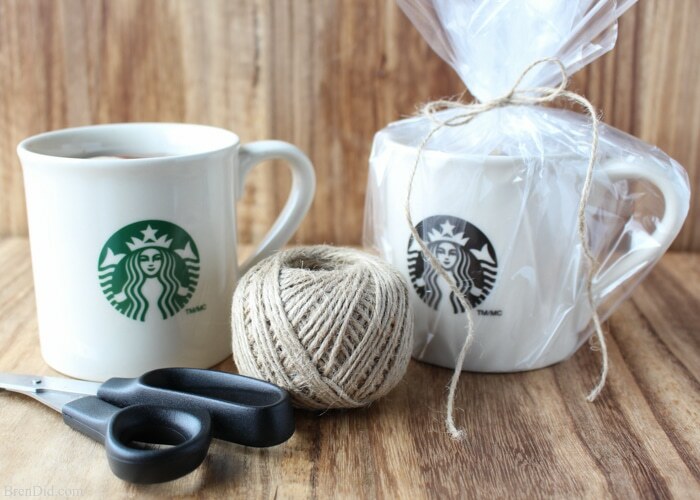 I package the cookie filled mugs in cellophane or plastic and tie them with twine. It is pretty packaging that also keeps the baked goods fresh. 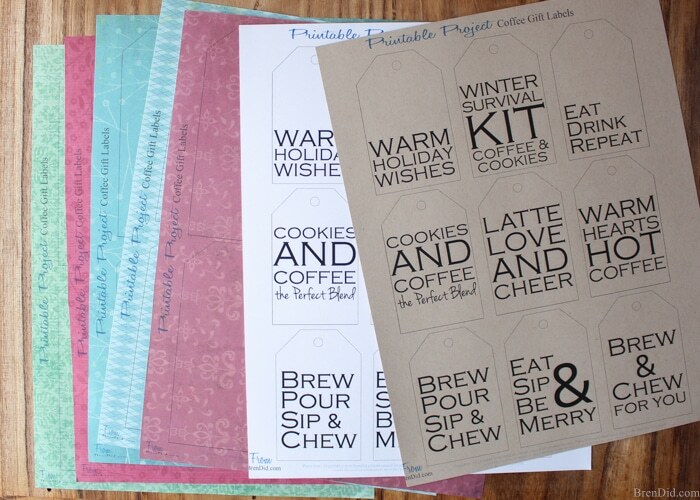 I hope you enjoy the cookies and my free printable gift tags. 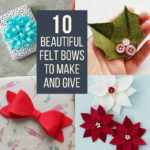 The PDF download includes one page with the sentiments and one page of decorative second layers. 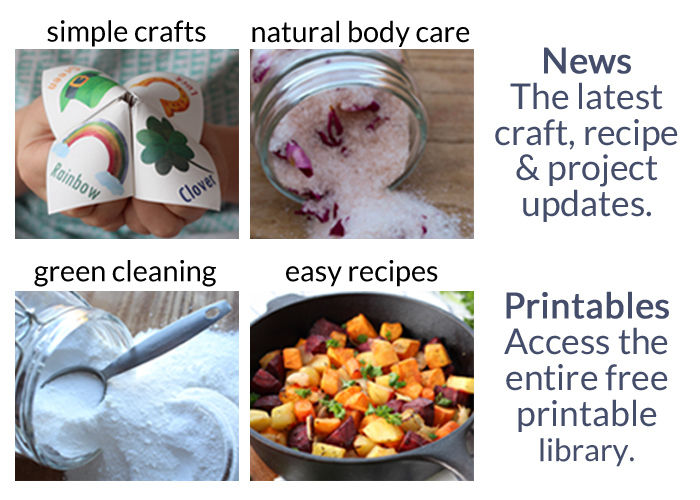 Print page one on solid colored card stock and page two on a piece of card stock in a patterned coordinating color. This looks great! 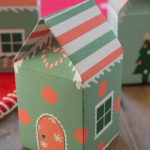 I’ll be making them this week. Are these doable with ground regular coffee beans, or does it need to be instant coffee for a specific reason? Texture maybe? I’m trying to figure out if I need to buy more ingredients. Thanks! Regular coffee grounds are too hard and bitter (they are ground beans). Instant coffee is brewed coffee that is dehydrated so you get the coffee flavor with no bitter beans. 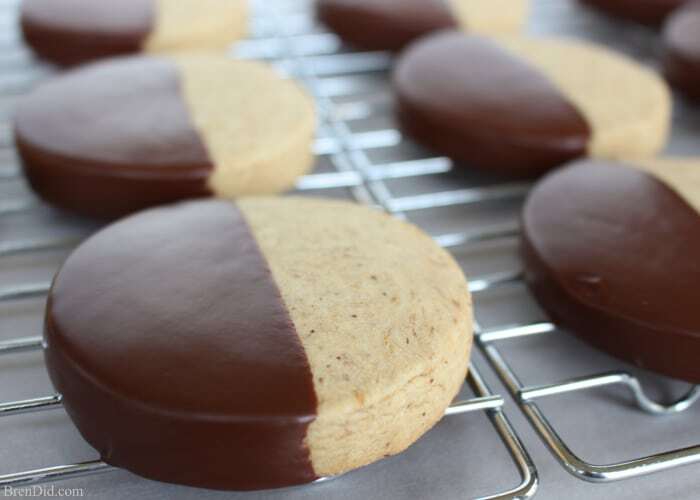 May I ask how Long can we keep these cookies as well as the cookie dimensions before baking? Otherwise, I’d really like to try this recipe! How long does it take the glaze to harden? Mine is still soft and it’s been 3 hours. Would it be okay to refrigerate so the chocolate hardens? It depends on the room temperature. Yes, you can refrigerate to speed up the process. Can you freeze these? Would you freeze w/ or without glaze? I’ve never tried freezing the cookies, if you want to try I would do it without the glaze.